"There's no place like home baked goods." 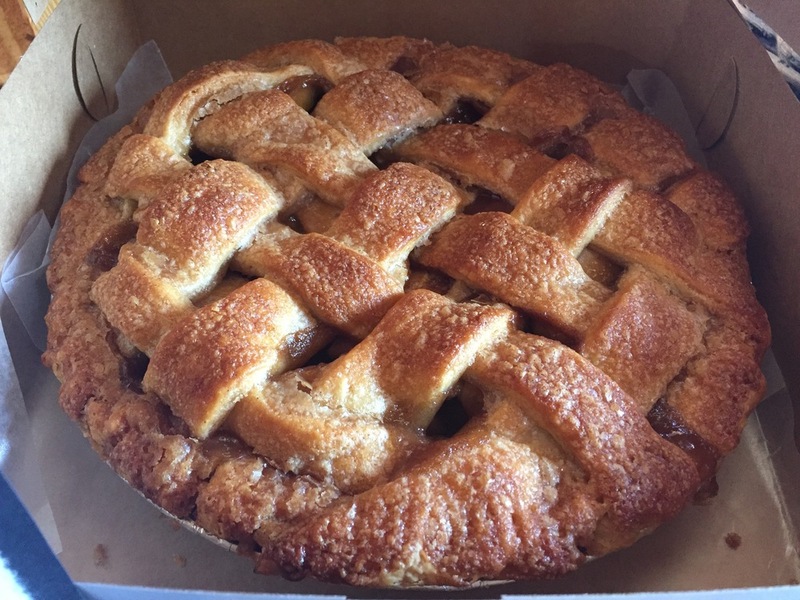 Located inside of the Kimball Art Center in Park City, Utah, Auntie Em's is a purveyor of small-batch pies and cookies. Emily and Rachel weathering the storm at a particularly rainy Park Silly Market in the summer of 2017. Luckily for me, the first two go hand-in-hand. As for the third, I moved to Park City, Utah in 2010. Four years later I decided to make my dreams a reality and started my own baking business: Auntie Em's Baked Goods. In 2017 Rachel Anderson came on board and dramatically increased efficiency and productivity. Just this spring I finally opened my own storefront, located in the Kimball Art Center on Kearns Blvd in Park City. Our pie crust is always flakey, our fruit is always ripe, our buttery cookies are always soft, and our delicious treats are always served with a smile. Our customers are always telling us that this is the best pie and the best dessert in Park City. Many have said it is the best pie they’ve ever had. All goods are freshly baked here in Park City, Utah with wholesome, natural ingredients that are locally sourced whenever possible. I personally guarantee you’ll love Auntie Em’s, where “there’s no place like home baked goods”! To place an order, please press 'Order Now' at the top of the screen. All of our items are available for local delivery ($20) and cookies can be shipped via USPS Priority Mail ($16). Crisp on the outside, chewy in the center, and piled full of semisweet chocolate chips, this classic cookie is sure to hook you! Chewy and coconut-y and made with organic coconut, these heart-healthy cookies are free of any added fat, and are as healthy as a cookie can get. Ideal for the chocolate lover (and little boy) in all of us! Said by many to taste just like the inside of a Reese’s Peanut Butter Cup, these modern marvels are made without any flour! This warm-spicy cookie is made with freshly grated ginger, large chunks of crystallized ginger and powdered ginger as well. I never did like oatmeal raisin cookies all that much, and was determined to come up with a recipe that even I can’t resist … the result is one delicious cookie! The perfect balance of sweet and spicy, these crisp and chewy cookies are a prime example of harmony in cookies. A deliciously modern take on an old-fashioned classic. Made with a medley of organic Utah apples, lattice-topped, and baked in a brown sugar-buttery syrup, this is one uniquely delicious apple pie! Blueberries, Raspberries, Strawberries and Blackberries combined in a flakey double crust. Fresh juicy peaches, combined with lemon and vanilla make for a mouth-watering mid-summer treat! Peaches and berries prove to be the best of friends in this really good pie. Raspberries, Blackberries and Blueberries are gently sweetened to this side of tart, and topped with a cakey shortbread crumble topping. My latest favorite pie, for sure. Are you looking for a flavor that you don’t see here? I take custom orders!